Thank you for visiting our site, please take a look around to find information about what’s happening at Rotherham Metro ASC. 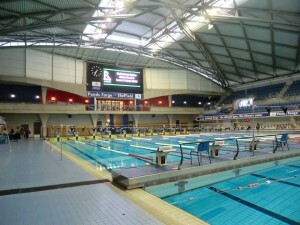 Rotherham Metro will once again host a number of galas at the prestigious Ponds Forge complex in Sheffield in 2019. The year commences with a 2 day Long Course A/B Grade Level 3 Meet on January 19th and 20th. Our 2nd Springtime Long Course Level 3 Meet is on May 11th & 12th which includes 400 free & IM events. Then on July 6th and 7th we hold our Short Course A/B Grade Level 3 Meet which includes the 400 freestyle. We finish the year with a further Short Course Level 3 A/B Grade Meet on September 21st. Further details will appear in the ‘Rotherham Metro Open Meets’ section of our site, click here for details of our January Long Course Graded Meet. If you would like to volunteer to officiate at one of our events then please send an email with your details and the galas you wish to stand in to Susan Keens.